In ancient China, people believed that they could send their desires and requests to the gods with kites. In a similar way, digital displays take our longing for space into virtual realities, away from a material world into our imagination. Beyond perception, we are imagining virtual worlds, which are far greater inside of us than the real one, as they allow us to create a possible future from memories and current perceptions. On-screen visible 3d-content gets constructed in realtime. Objects leaving the viewable area cease to exist. Despite being spatially restricted and flat, the screen promises to satisfy the longing for depth, expanse and horizon in a world that is getting increasingly smaller. The installation in its form is inspired by stunt kites. 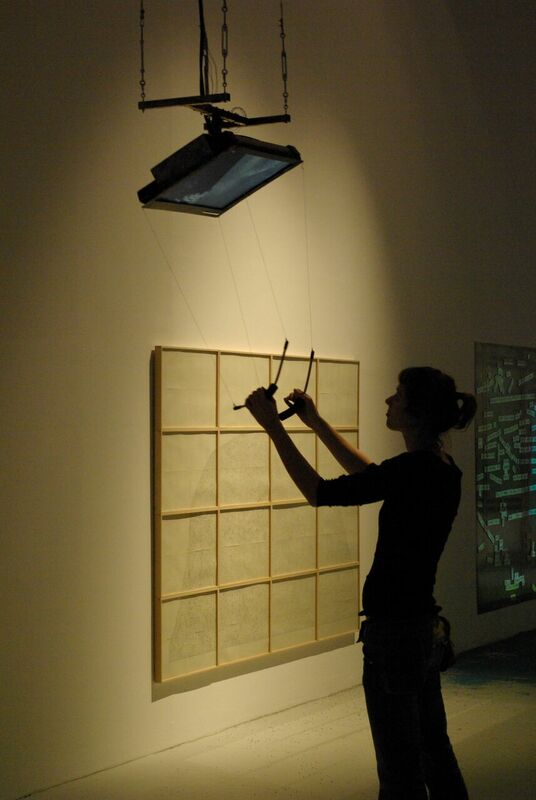 The screen becomes the kite. It is controlled through four lines, which are attached to the corner points of the frame. Steering kite handles are used for swinging and rotation on two axes.